Buying a home can be a stressful experience, but it doesn’t have to be. 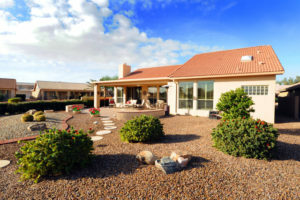 With extensive experience working in the area for many years, I’d like to give you some tips on how to buy homes for sale in Sun Lakes, Arizona. 1. Decide what you want in your future home. Make a list of priorities that are important to you. What is your ideal square footage? Would you like a golf course lot or greenbelt? Do you require a golf cart garage? All of these things will help narrow the search to the floor plan that best fits your needs. 2. Learn about the various communities in Sun Lakes and what’s available. What community will be best for you? With five, separate communities in various price ranges, it’s important to select the community that best fits your needs. Maybe price will be the determining factor? Or, perhaps a gated or a non-gated community is important? Our experts can help you identify the best community for you. 3. Work with an experienced agent who lives in the area. This is important because an agent who lives in the actual community can give you exclusive insights on the neighborhood. They know the floor plans, the real estate market trends, the value placed on premium lots, and deductions for a home that might be near a major road. Our agents at the Kolb Team live in the Sun Lakes community, and we have sold over $60 million in real estate in six years. We are active in the Home Owner Association and know the history of dues and assessments. If you want to find the perfect home in Sun Lakes, Arizona… and avoid the mistakes that come with hiring the wrong REALTOR®, give us a call. We’re here to help give you the inside scoop on the community and get you in your dream home fast! Are you ready to buy a home in Sun Lakes AZ? Please contact us here. Your dream home is waiting!